Don't forget guys that it say if your hero is ''healed'' that means you have to be damaged in first place. this is perfect tool against agro decks to push for tempo while trying to survive. I love this card! Spreading Madness good card, and if you're playing some spells with pyromancer too but you need PO :'( ! we have to wait till expansion goes live! good idea! but the isn't enough tool to deal damage to it after giving it to your opponent. that doesn't answer my question... i know the mechanics and how the cards work but Embrace Darkness is too bad to see play ,not only you give your opponent the chance to hurt the minion you selected or just go face with it, but when you gain control of it, you have to wait another turn to attack with it... isn't that too slow?? WTF??? this is how Blizz solves cards like jade idol??? So lazy design... why don't they simply nerf it instead... this card kills any type of combo decks that relies on 1-mana spells. why would priest play this card over Dragonfire Potion ? So far, nothing revealed will make warlock playable class again. 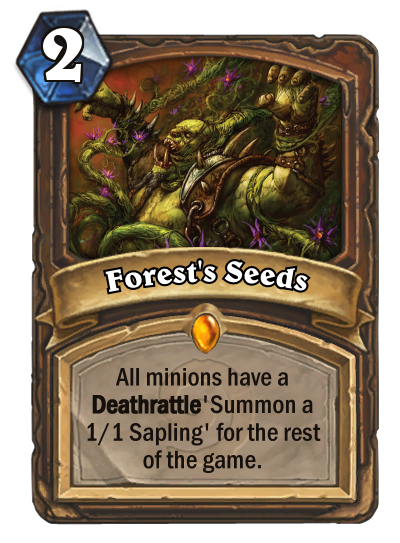 Okay this will help Token druid A LOT with ''Whispers Of The Old Gods'' being sticky and some deathrattle/battlecry minions that produces others tokens. You can combo after that with Savagery or buff cards. If you go to the website you will see that they said ''SIX Classes"... So No, Priest is still a thing to Blizz! i lost a game because of [card]Snowchugger[/card] the mage had 3 of them in the late game and he kept freezing my big minions and smorking with 2 Firelandsportal... glad they removed this card it's a perfect 2 drop at all game stages. they got the new fork to play with and it's good card and balanced. 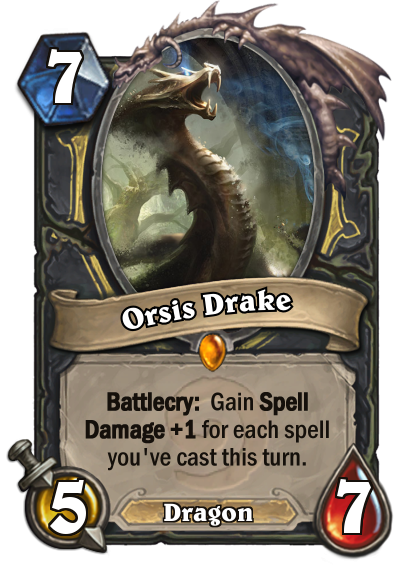 Description: Potentially you can cast turn 7 coin+coin(from pillagers) / prep / fon or shadow strike / 2nd prep / play the drake with spell damage +5/ Evis for 0 mana (9damage) / 2 snister strike (16damage) (25damage total). ofc you can do more if you combo this with Thaurissan. this card will open to otk rogues more options beside Malygos and Edwin.